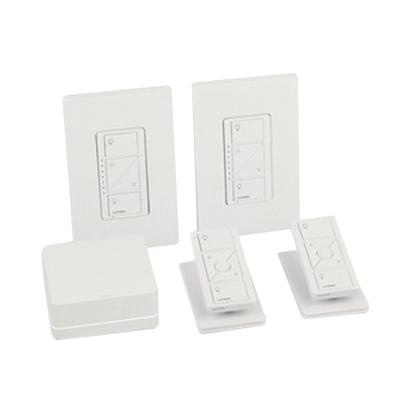 Lutron Smart bridge Pro dimmer kit with pico remote provides wireless lighting solution for ease of operation and complete home automation. This dimmer kit with pico remote allows adjusting lights and shades from a Smartphone for easier, more reliable and affordable lighting solution. It allows you to schedule lights to turn on at specific times. The timeclock feature automatically adjusts schedules for fall/spring time changes. It works compatibly with Apple home kit, Nest and select Honeywell Wi-Fi thermostats, Logitech harmony remotes and more.